Imagine if someone in the 80's would have defeated Hulk Hogan and Ric Flair one after another and winning the WWF and NWA World Championships at the same night. 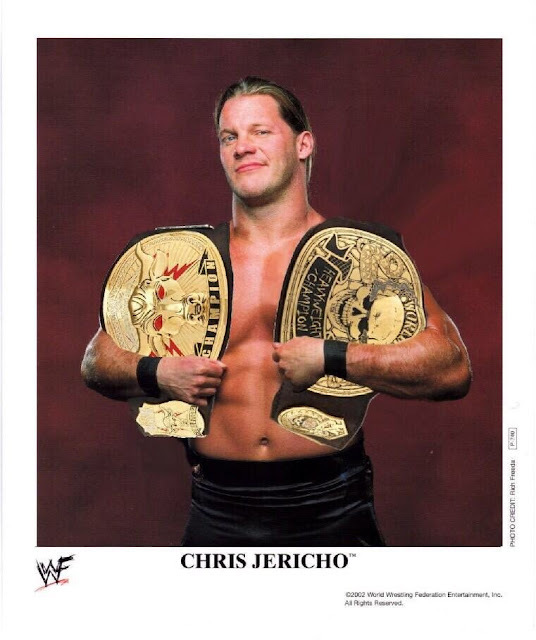 WWF Vengeance - December 9, 2001, not only Chris Jericho was the first pro wrestler of the modern era to unify both wrestling world championship titles. 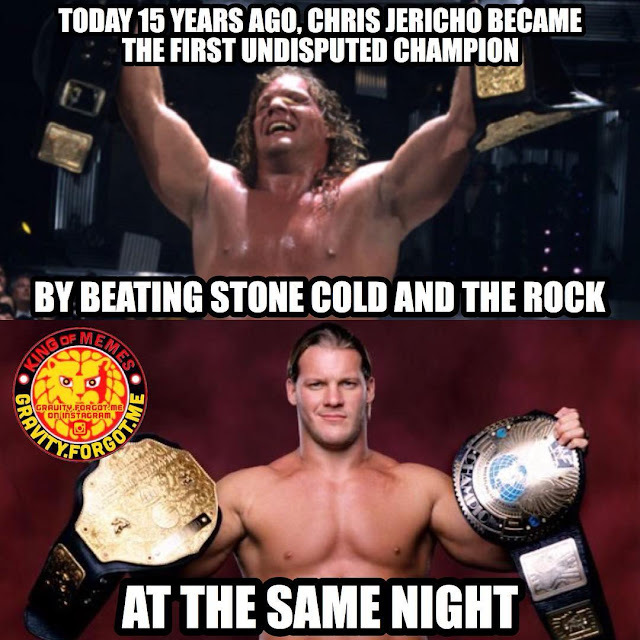 Chris Jericho singlehandedly defeated The Rock and 'Stone Cold' Steve Austin one after the other at the same night to unify both world titles. Chris Jericho defeated two of the biggest icons of pro wrestling history at the same night. Chris Jericho defeated The Rock (c) for the World Championship in 19:08. Chris Jericho (World Champion) defeated Stone Cold Steve Austin (WWF Champion) Title unification match for the World and WWF Championship into the Undisputed WWF Championship in 12:34.